1. If you’re in the Dayton, Ohio area of things, and you want to see me do my thing prior to my book tour appearance in September, I will be at the Beavercreek Barnes & Noble on Saturday, August 2nd at 2pm. What will I do there? I will read! Probably from Lock In but also from other things. Also I will answer questions! Assuming anyone has any. And I will sign books! Which you can buy at that very bookstore, if such is your joy. I’ll be using this as a practice run for my book tour, so please come and watch me prepare. It’ll be fun. Promise. 2. 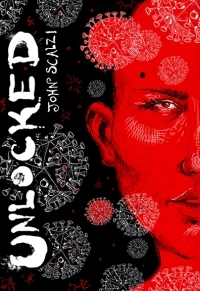 There’s a quite nice review of Unlocked in Publishers Weekly this week, calling it a “skillfully written novella about one of the most fascinating SF scenarios created in recent years.” I am pleased. This review is tied into the Subterranean Press limited signed hardcover edition, so this is a fine place to remind you that this edition is coming, has a fantastic cover by Molly Crabapple, and that you can pre-order it right now. Also remember that if you can’t see me on my book tour, you can pre-order Lock In from SubPress, and when it arrives at your door, it will be signed by me. 3. Speaking of Lock In, a positive review of the book from SFReview.net is up, calling the novel “the kind of book a young Crichton might have delivered in his Andromeda Strain heyday.” I’ll take that. There’s also a video review of the book at the bottom of the linked review. 4. SFWA has reprinted my entry on self-publishing and Yog’s Law, so if you missed it the first time and don’t want to bother scrolling back, here it is over there. Enjoy. when it arrives at your door, it will be signed by me. I got a great mental image of you following the UPS truck down the street and signing books when they arrive at people’s doors. Fortunately, since the UPS guy is involved we can rest assured that John will be wearing pants. Glad you are getting good ink. I, however, would consider a comparison (favorable) to Crichton very faint praise. The guy can sell books its true, but so can Dan Brown. Maybe my view of his early stuff has been tainted by what followed. Michael Crichton has written some good books, but he seems to just quit and wrap everything up quickly when he has hit the contracted number of words. So I am not sure how much of a compliment that is. I think you are a lot better, personally. It specifically says “a young Crichton … in his Andromeda Strain heyday.” I remember being pretty wowed by The Andromeda Strain, back in the day. 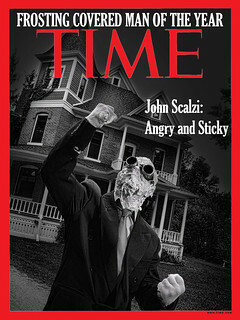 I couldn’t read his later stuff at all, but a comparison to his supposed heyday doesn’t sound at all bad to me. Also, “kind of book” means precisely that. It doesn’t mean Scalzi’s and Crichton’s skill sets in prose or narrative or character development are an exact DNA match. JS– Do you think the law and the corollary also now apply to other publishing venues? For example like audio, tie’s etc? I see a bestseller list your near future … :). Yog’s law? I suspect it’s generally applicable across creative fields, yes. 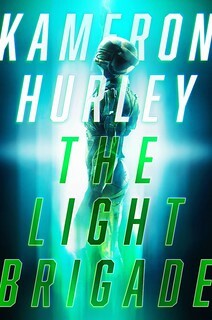 Will there be a proper SubPress edition later, or is the signed trade hardcover the best we can hope for? On the subject, any chance of a SubPress edition for Fuzzy Nation soon? That’s just down the road from me. Maybe I’ll get another book signed. I have been reading and re-reading Unlocked and the first chapter of Lock In over and over, which is not usual for me — usually it’s one and done. So, there’s a data point for you! John – your proofreader/copy-editor over at SFWA site let you down – missing words/letters splattered within the article. Or was that an intentional illustration of the need for a pro when self-publishing?